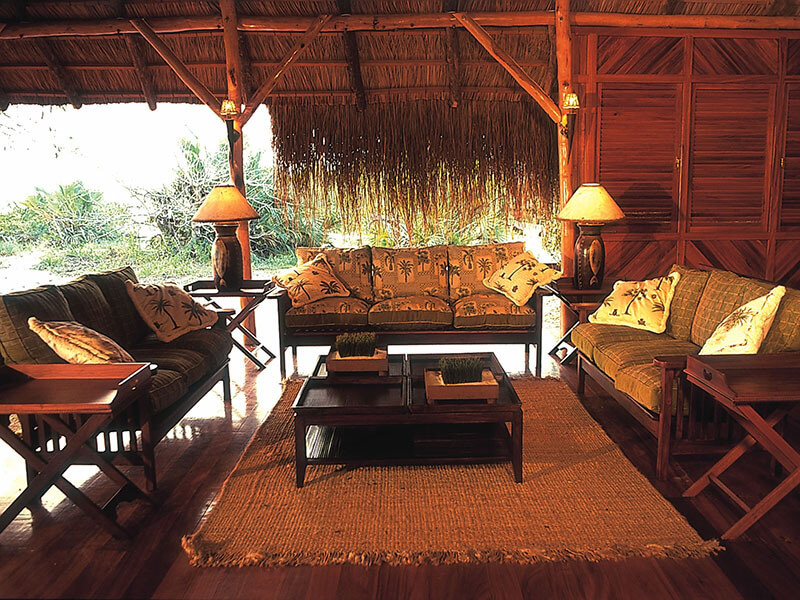 Dugong Beach Lodge is situated in the serene Vilanculos Wildlife Sanctuary. The spacious chalets open out onto a patio with breath-taking ocean views. Shallow and deep water reefs reveal eye-catching creatures such as Green and Leatherback Turtle, Sailfish, and Manta Ray to name a few. Deep-sea game fishing of marlin and barracuda is truly sensational and the large flocks of flamingos and pelicans are a sight to behold! Host to a magnificent array of fish, dolphin and very importantly, the nearly extinct “Dugong”- diving here is a must! 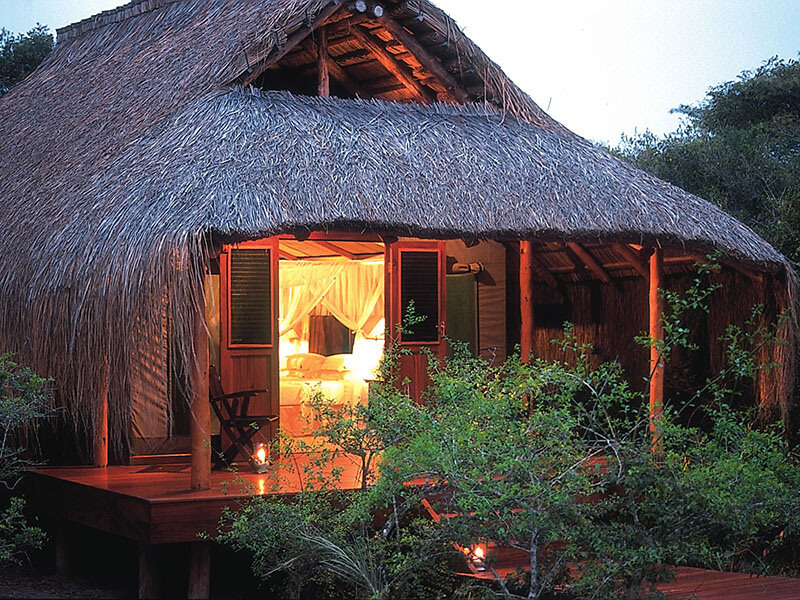 Dugong Beach Lodge (which is named after the rare and near-extinct dugong), is found in the spectacular Vilanculos Coastal Wildlife Sanctuary on the coast of Mozambique. The Vilanculos Coastal Wildlife Sanctuary is the first privately managed Specially Protected National Park in Mozambique stretching 30 000 hectares. Diverse sea, wetland and wilderness habitats harbour plentiful marine and land creatures. The nearly extinct Dugong cruises the seabed with dolphins, leatherback turtles, sailfish, manta ray and large game fish including marlin and barracuda. Photograph spectacular flocks of flamingos and pelicans. 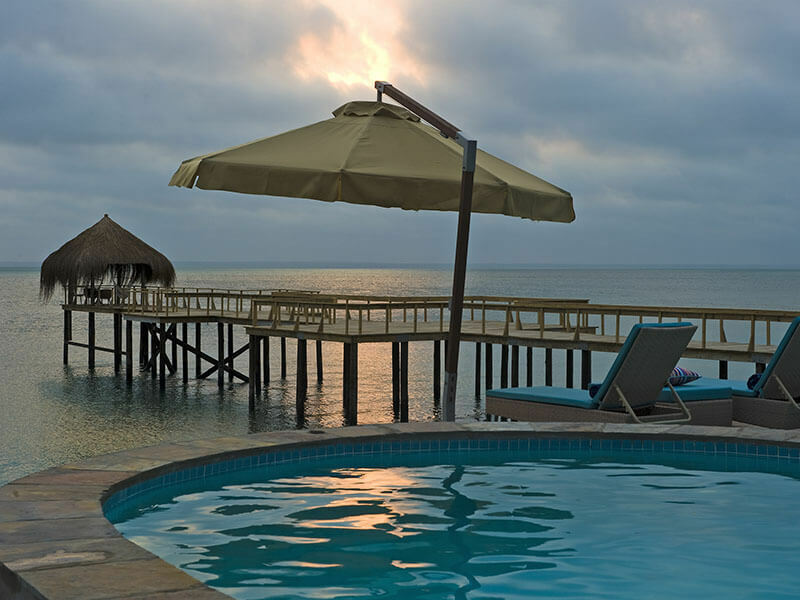 Accommodation at Dugong Beach Lodge is right on the beach. 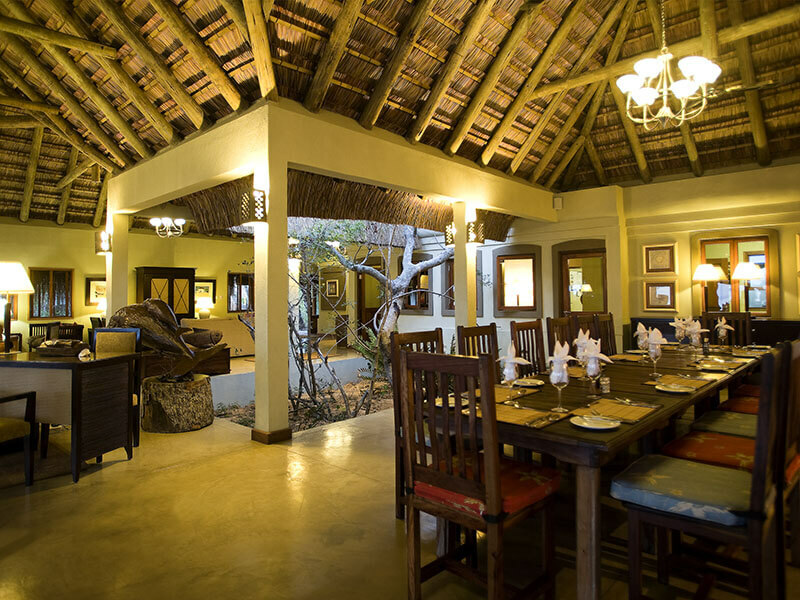 Part of the Legend Lodges stable it offers 14 luxuriously appointed, air-conditioned chalets with direct access to the beach via individual pathways. Two of the chalets have a private plunge pool whilst all of the chalets have a private deck furnished with day beds for relaxation with panoramic ocean views. 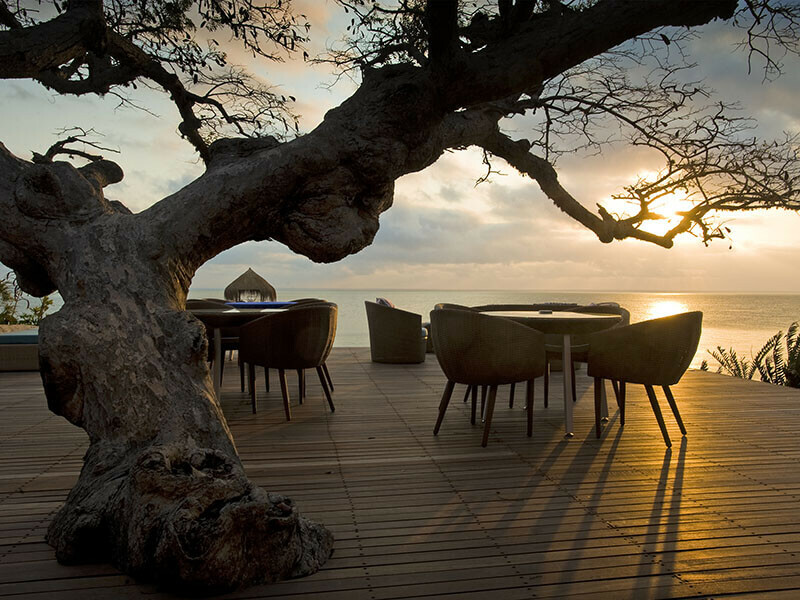 Romantic private dinners with majestic views of the star-studded skies can also be enjoyed under the secluded canopy. 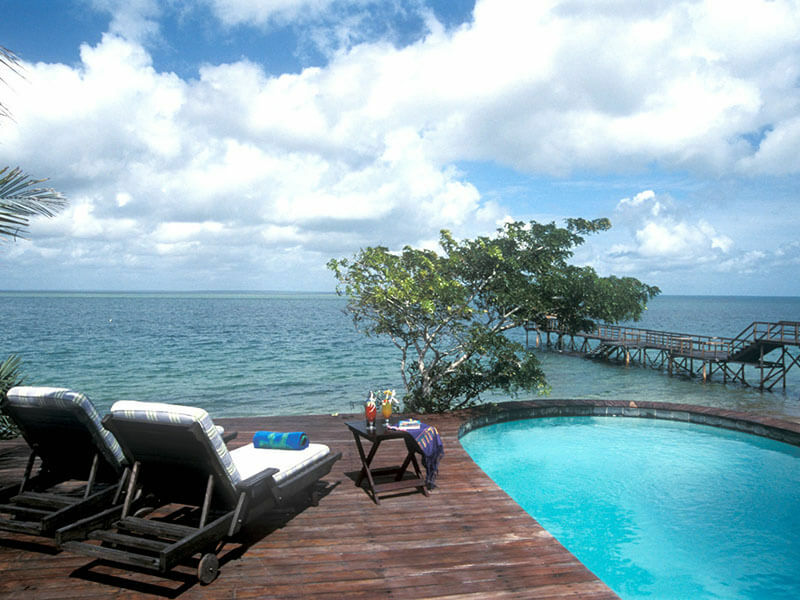 Guests at Dugong Beach Lodge can cool off in an interflowing swimming pool or lounge around on sun loungers or hammocks. The island-style bar with martini seats offers guests a wide selection of drinks that can be enjoyed whilst basking at the spectacular views of the ocean. A tasteful lounge offers TV monitor and DVD player while the restaurant specialises in fresh seafood and local Portuguese cuisine. 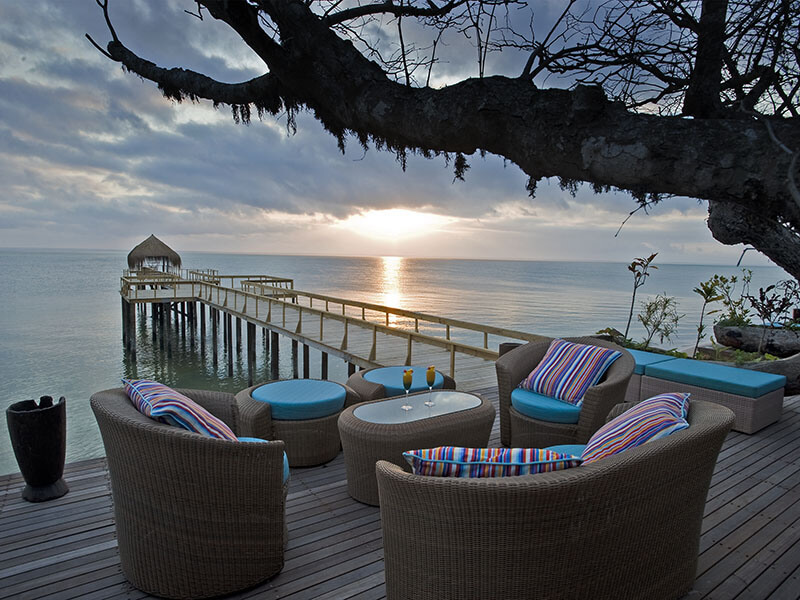 Sundowners or private dinners are popular under the gazebo at the end of the boardwalk jetty. A marine sports centre offers the following water sports: diving, snorkelling, kayaking, fishing and traditional dhow cruises. 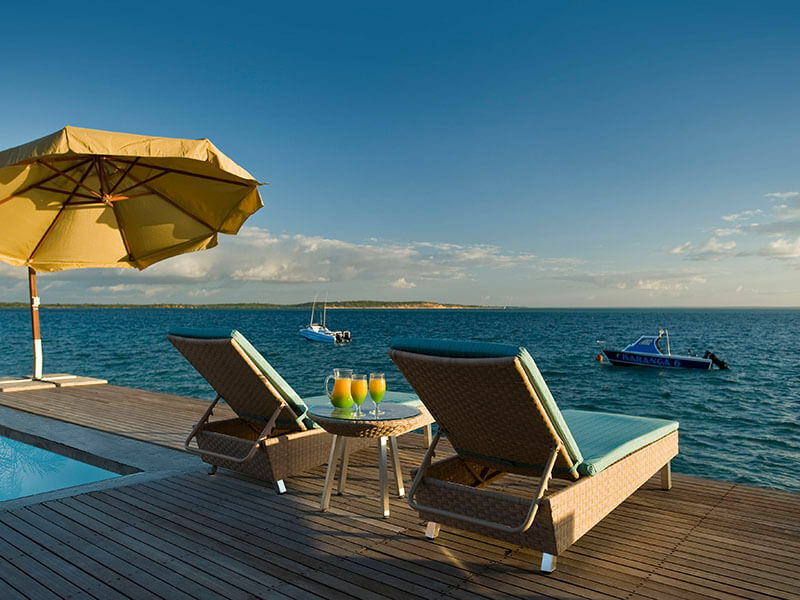 For the more adventurous, take a Mozambique Island Excursion to Bangwe and Margaruque or try water skiing, windsurfing, parasailing and Hobie cat sailing. Sundowner cruises and ocean safaris may encounter whales breaching or dolphins diving. 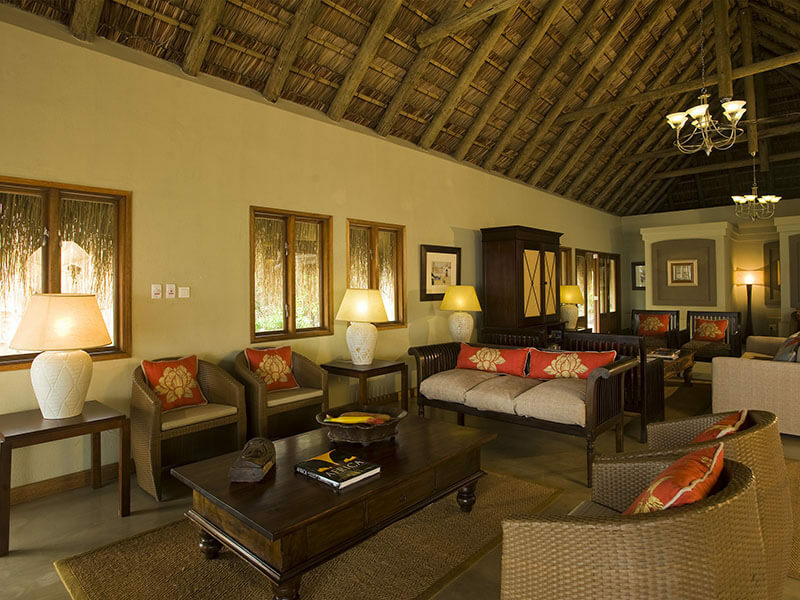 The Lodge offers 14 luxuriously appointed, air-conditioned chalets with direct access to the beach via individual walkways. Two of the 14 chalets have a private plunge pool. 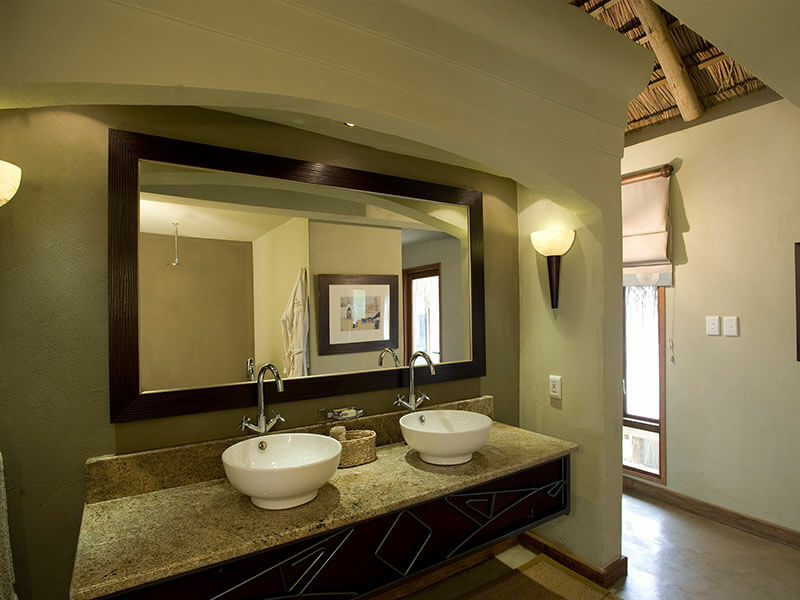 All rooms have twin beds or double beds, luxurious en-suite bathrooms, an outdoor shower, as well as a view of the ocean. Each chalet has a private deck furnished with day beds for relaxation and a secluded canopy where private dinners can be enjoyed. Ceiling Fan, Air Conditioning, Mosquito Net, Mini Bar, Hairdryer, Mini Safe, Tea/Coffee Facilities and Mosquito Repellent. 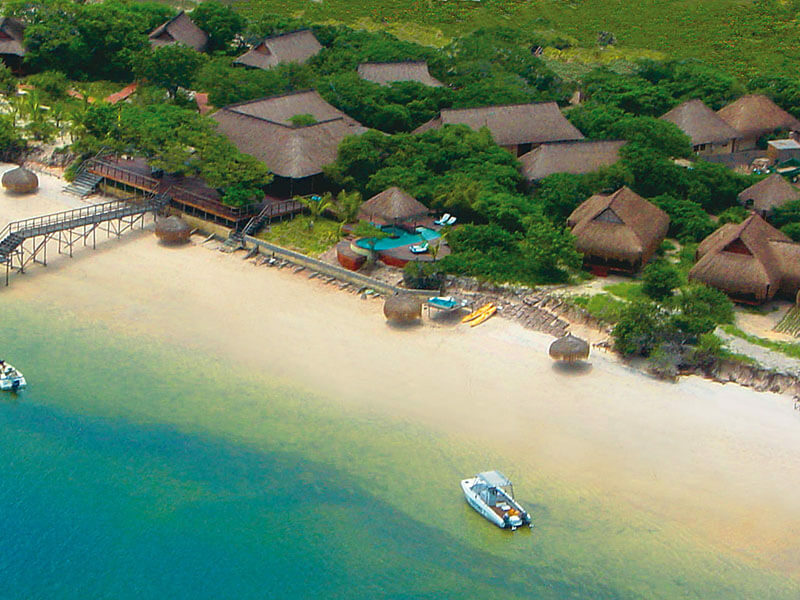 Dugong Beach Lodge is situated on the East-African Seaboard, on the coast of Mozambique within the boundaries of “The Vilanculos Coastal Wildlife Sanctuary”. Scheduled daily flights to Vilanculos International Airport on Pelican Air in pressurized turboprop aircraft take 2 hours from Johannesburg International Airport (JIA) (International Departures counter 55) and one and a half hours from Kruger Mpumalanga International Airport (MQP). Boat transfers from Vilanculos International Airport to Dugong Beach Lodge take 30 – 40 minutes (depending on the tide) Guests should be advised that wading into the water (to about knee level) may be required, depending on the tide. Please ensure to keep this in mind and dress correctly on the day of travel (sandals and easy roll up pants or shorts are advised). 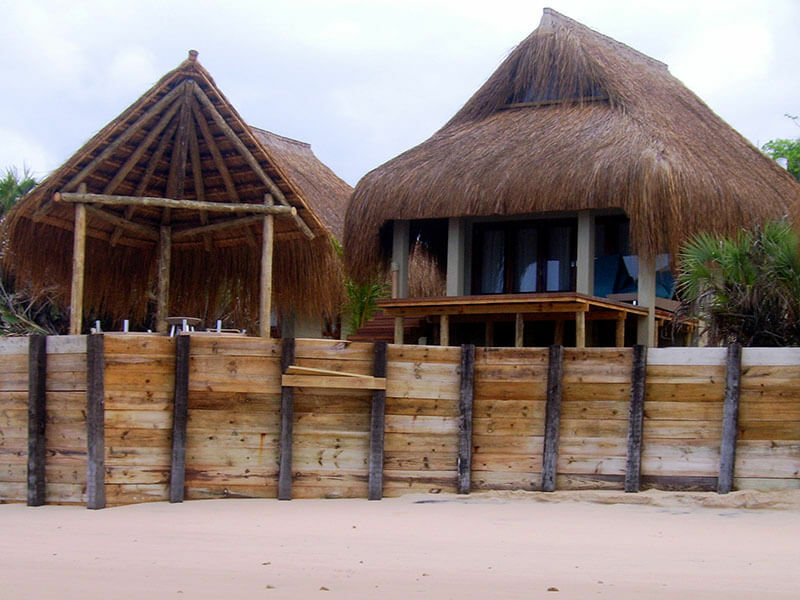 As an alternative, guests can freshen up and change clothing once they get to Vilanculos. Breath taking scenery and the sighting different sea creatures can be enjoyed on the relaxing boat journey to the Lodge.